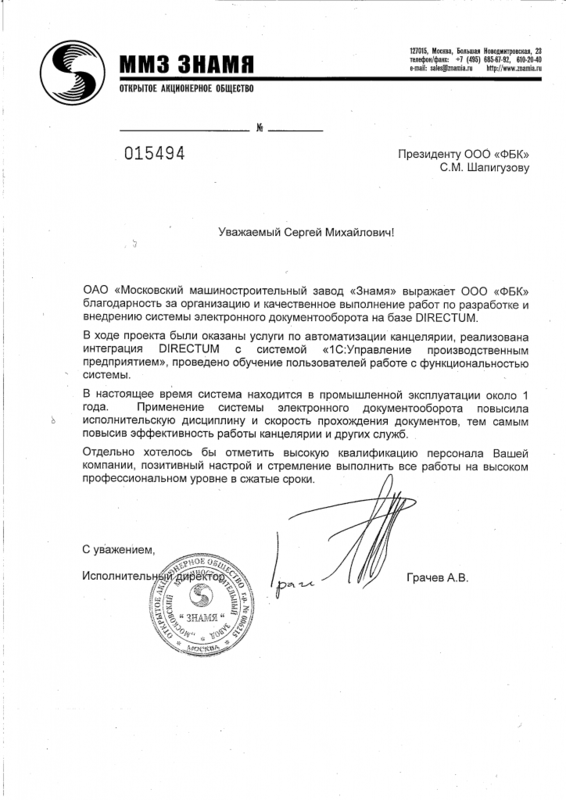 OJSC Znamya Moscow Engineering Plant would like to thank LLC FBK for the organisation and professional performance of work relating to the development and implementation of the electronic document management system on the basis of DIRECTUM. 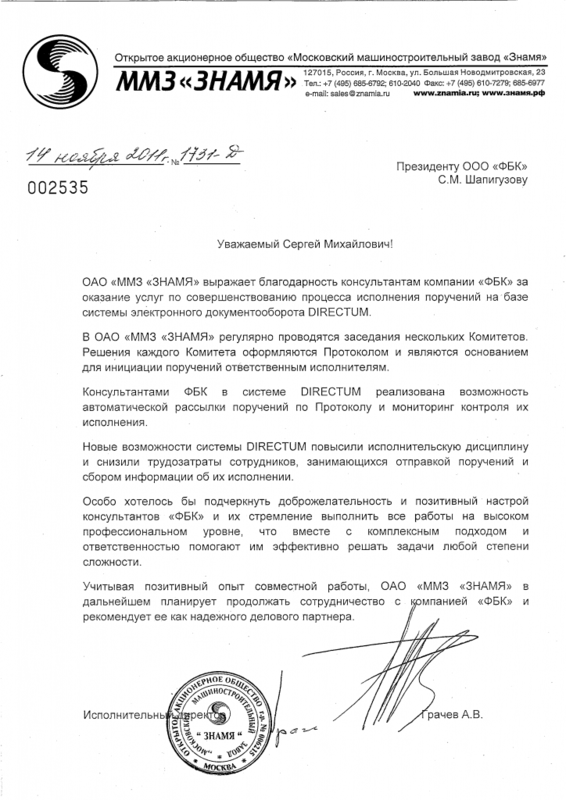 During the project services were provided relating to the automation of the executive office, DIRECTUM was integrated with the system 1С: Manufacturing Enterprise Management, while users were trained in how to work with the system’s functionality. At present the system has been operational for approximately one year. Application of the electronic document management system has enhanced performance discipline and the speed of transmission of documents, thereby increasing the operational effectiveness of the executive office and other functions. I would like to highlight the exceptional qualifications of your company’s personnel, positive mood and desire to perform all the work at a high professional level within stringent deadlines.